Note The “xxxx” digits in the sequence vary. This may mean that your console can't find a previous version of the update. Obtain a USB flash drive with at least 90 megabytes (MB) of free space. Plug the USB flash drive into a USB port on your computer. Note The USB flash drive must use the FAT32 file system (Windows). Unzip the file. If you are using Windows XP, Windows Vista or Windows 7, double-click the .zip file to unzip it. If there is a disc in the console, remove it. 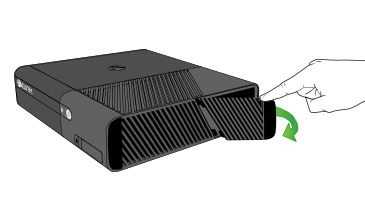 Remove all console storage devices, including any USB flash drives, external hard drives or the internal hard drive on the Xbox 360 E console or Xbox 360 S console. On the right side of the console, locate the hard drive cover release near the back of the console. Replace the hard disk drive cover before turning the console back on. On the right-hand side of the console, locate the hard drive cover release (near the back of the console). Note Not all Xbox 360 consoles include a hard drive. Plug the USB flash drive that contains the update into a USB port on the console. Turn on the console. When the console starts, the software update process should automatically start. Sometimes the firewall on a router blocks the update from downloading. If your router has such a firewall, you have to temporarily simplify your network setup. Here’s how. Download the system update that you were trying to download. Disconnect your console from your modem. Re-connect your modem to your router and then your console to your router. If the solutions above didn't resolve the problem, your console needs to be repaired. See Getting your Xbox console or Kinect sensor serviced. 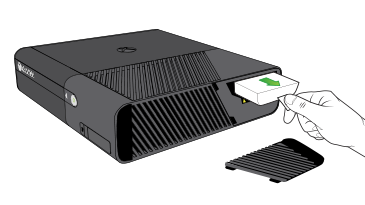 Would you like to contact Support regarding the "Error xxxx-3080-xxxx-xxxx-xxxx-xxxx occurs when you try to update your Xbox 360" issue you were reading about or a different issue?